We just released a new video about GameSynth. It offers a sneak peek at some of its procedural audio models. The Whoosh model can be used to design many types of aerial sounds, from wind to sword whooshes and even cloth Foley. The Impact / Contact model lets you generate a large range of physics-oriented sounds involving many materials, in various styles from very realistic to cartoonish. The Retro model allows the recreation of iconic 8-bit sounds. From simple user interface sounds to bit-crushed extravaganza, it offers a surprisingly wide sonic palette. 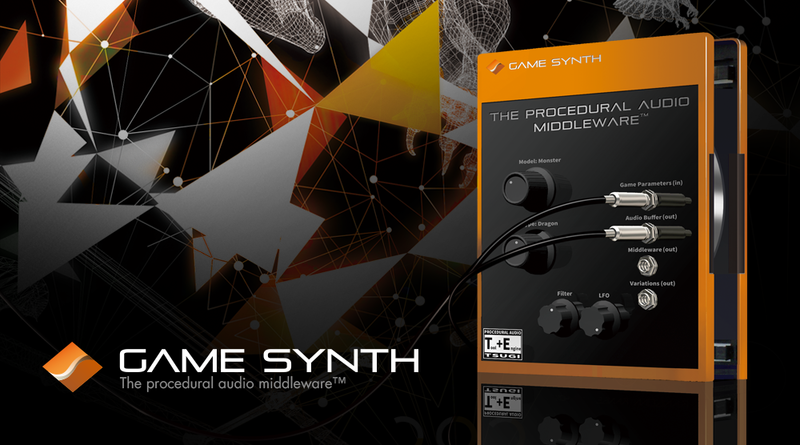 The visual patching system of GameSynth allows you to create your own procedural audio models by connecting audio, control and logic modules together. On the video, you can also see the use of the Procedural Audio Sketch Pad to draw whooshes, generate contact sounds and create crazy retro sounds.